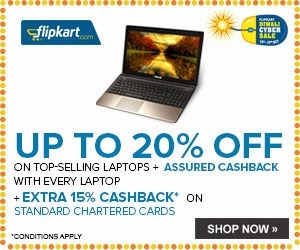 Update(August 2013): Special Limited Edition Offer on Flipkart, get Laptop here, Asus K55VM-SX086D Laptop. Update(Dec 2012): The Drivers for Windows 8 for K55VM-SX086D are released on the ASUS website Drivers download Page, Link is Given here K55VM Drivers. Recently, I bought the Newly released Asus K55VM laptop from the Taiwanese company ASUS , and I am totally pleased with this black powerhouse,so i thought of writing a Review for the same. It packs in moderate amount of power and to keep the heat generated at bay, also employs some revolutionary technology never seen before in laptops. given by other companies like Dell on their recent 3rd gen laptops,with 4 cores and 8 Threads to give 8 cores using HyperThreading Technology from Intel. Hard Disk : 1 TB SATA HDD running at 5400 rpm,gives 45-55 MB/s copying speed. RAM : 8 GB 1600 MHz clock speed which is fast enough to ensure smooth operation. Graphics : Nvidia GeForce GT 630M 2GB DDR3 graphics card is more than enough for all the Games and applications to run in max settings,This is coupled with the Intel’s own HD 4000 Integrated Graphics,which is sufficient to run all the games in medium graphics settings. Chipset : Intel HM76 Motherboard used only with the ivybridge processors to decrease power consumption. Camera : 0.3 Megapixel camera with inbuilt mic. Sound : Altec lansing Dual speakers situated at bottom of the laptop give a crystal clear sound. Communication : Wlan card with high speed Bluetooth 4.0. Display :1366×768 15.6 inch Widescreen BrightView LED-backlit Display. Ports/Slots : 2xUSB 3.0,1xUSB 2.0,RJ-45,HDMI,VGA. With the Ivybridge Processor and Integrated HD 4000 Graphics Packed in,this Laptop has really got no issues in executing heavy applications like Adobe Photoshop cs5,After effects cs5,the CPU usage rarely gets up more than 5-6% during during heavy rendering and processing on After Effects,for even heavy usage the nVidia GT 630M 2GB GPU is always up to challenge and plays up to your every demand. But,the presence of 1366×768 resolution glossy HD screen means that the laptop can easily play 720p movies easily and easily supports 1080p movies for which we need 1920×1080 resolution. The output to HDMI is butter smooth thanks to the 2 GB discrete graphics,and it never lags on it. Also Read : Lenovo Ideapad Z500 Laptop Review. Gaming : I have played almost every latest Video game title in this Laptop like Assassins’ creed Revelations,Need for Speed Run,Battlefield 3,Bad company 2,Call of Duty 4 Modern warfare,GTA 4,CrySis 2 and they all run in Maximum 1366×768 res. and graphics and texture is generally set to maximum,even Max payne 3 doesn’t lag and runs awesome with slightly less frame rate. Even after this gaming the laptop runs a little over 1.2 hours on a 6 cell battery,and the cooling is awesome as ever because of Ice cool technology,the Topside of the laptop never even becomes warmer than your palm. The display is fairly bright and is able to display easily in daylight but the screen is glossy which causes light gloss reflections on the surface and may be uncomfortable to use in sunlight,the screen is fairly wide enough for a 15.6 in laptop and offers slightly less flexible viewing angles. The Touch-pad is smoothest ever i have laid my hands on recently and features multitouch gestures and identifies up to five fingers simultaneously and the Elan software bundled in the Driver CD also has many touch gestures for ease of scrolling and use,the only downer is that the left and right click can’t be pressed simultaneously because they are on the same pad. Keyboard is not back-lit and has a smooth springy feeling to each key press which is extremely comfortable,it has unnaturally big keys for its size has also features Numeric keypad on right side of the keyboard. Altec Lansing and Asus has done a very good job in packing in a speaker which is acceptable and really good at this budget,its not too good on bass though. The device is mostly made of Plastic and only the palm-rest is made of anodized aluminum and the plastic is textured which prevents fingerprints and smudges on the body,The Screen swivel is pretty sturdy though and keeps the display fixed. The device remains exceptionally cool while doing general application installations and compression decompression running in the background and web browsing on top using Data card,it will give out time of around 4 Hours. On using wlan browsing the laptop averages to around 3 hours,and on Heavy gaming it only gives backup of around 1 hour. The fan also remains fairly silent in this usage. Driver Installation and Support Software : The Laptop doesn’t come with windows 7 and you would have to put your own windows,but it has a Driver DVD included which has all software which you need for its proper functioning and you can actually choose what to install and what not to,so no risk of unwanted Bloatware. The Asus K55VM is a Really good and affordable laptop and its score gets down only because of slow HDD,Beginner level GPU,and the ordinary display.It provides enough crunch power for running your High Def. games and Applications. Note: This Review Doesn’t feature advanced Benchmark Tests and 3D mark tests because most of the Average users don’t even understand them,so this review is by a user-for the user. Well then just check on flipkart if they are certified buyers or not, and i am using this laptop from July 2012 and played all they heavy duty games of 2012 to name a few BF3, crysis 2, farcry 3, medal of honor warfighter and play continuously for 5-6 hours and it never shuts down. you know that every laptop takes air from downside and exhales from sides, so you need to give evry laptop some breathing space at the bottom by propping it against something like a book or something, so it can takes air freely and doesn't heat up. I have many noob friends who complain of heated laptops and dont know how to handle a laptop themselves. hope you know. ASUS is a better OEM manufacturer than Toshiba or hp, only the quality of Lenovo surpasses ASUS. thanx for replyin....i really wanna buy this lappy n ur words r some relief. Mayb those were just an isolated issue after all. At any rate the thread on tomshardware sure has attracted a lot of attention cz eveywhere guys lyk me r asking the same question..
Pls dont lie that u didnt get any heating issue .. bcz myself n my friends r using d same laptop .. we all r having d same heating issue ..
@Ajay - Try to read the comments first , Don't just go commenting here, i already told here that i have got my Laptop fixed, the Motherboard was replaced and my Friends got it fixed too. its not Exactly my Problem if you have a Problem and you even don't have the sense to call ASUS Costumer care and tell them to fix it. Next time first read up the comments then try to comment, you should have tried to call the call center first instead of commenting here. Hey anurag nice review i am also inclined towards buying this laptop...but people say asus is costing lesser than its compitators in market so its hardware must be of compromised quality.....your comments pls..
How can they compromise quality ? I Mean the Processor is Intel ,Mobo is Intel ,GPU is Nvidia , There is nothing like compromise on Quality, The Low Advertisement Budget is how they provide affordable laptops. i am going to run heavy engineering apps based of FEM.... like abaqus and ansis dynamic analysis....so to optimise its performance can i put a SSD harddisk as primary ..../??? Yeah Just again Checked on Intel Website, it Supports SSD in SATA2 Mode Only. Tha should be Okay for Use. you first check that those programs are running in compatibility or not ? . Also answer to your question is that they'll run at approx same Performance, just use 64 bit version. Laptop shuts down abrubtly when playing games like Max Payne 3, Far Cry 3, Hitman Latest one .. So, I suggest not to buy .. Seriously guys. Do not buy this laptop. After buying this Asus became my worse vendor. It may be good if u are in frozen areas like US or some where else. But in India its not worth buying this. Laptop has several thermal shutdown issues. I don't know why Asus named this a gaming PC, Which can't handle even my Photoshop work for 30mins. Stupid Asus this is gonna be my last purchase from them. Sometimes I get tears with this stupid laptop. Spoils all my work. The issue is most probably due to some malfunction, Did you ever try the ASUS customer care to file a complain ? ya i did. They said it might me graphic card issue and changed it... Hmmmm my bad. It's still in warranty. Better i ask for new chipset. What do u guys say? Its a Chipset issue, if its not resolved ask them to replace it. hey i have the same problem in my asus k55vm lappy.. it shutdown after 15mins .. anurag will u plz help me to out dis... i m a serious gamer... ?? If you have laptop in warranty, just call them and they will come to your home and change the motherboard free of cost as it is Onsite warranty. I had the same problem and after changing the Motherboard, no heating whatsoever and I am currently playing Metro: Last Light from last 4 hours on very high settings, and no shutdown. I used the Same Bluetooth drivers from AMD's website on Windows 8, are you sure you are using the Windows 8 Pro ? can i have your email anurag? I wonder why they named it under gaming category.it cant handel games like fifa 11.i bought one,but the same issue of thermal shutdown happened with me 2.i was playing fifa 11 on it suddenly it shutdown after 15min and never started again.i have given it for the replacement under DOA.i also contacted asus service regarding this problem,they said that they r unaware of it,n cant do any thing about it.FEELING CHEATED......please explain how this laptop is gaming laptop if cant play game even for 30min...will installing win8 will fix it? This is a Gaming Laptop , The heating issue happened to me too, so called ASUS Customer care and they changed my Motherboard, many here got Motherboard changed due to heating issues, that was solved after it. Most Probably the Case of a Batch of Faulty Motherboard, now after changing it, i can Play Games for upto 5 Hours at a Go. I have recently brought this laptop and I was depressed over the overheating issue. It used to shut down quickly after playing a heavy game for 10-15 minute. As the temperature used to reach over 105C for the CPU. I called Asus Helpline (call centre number is 18002090365) and filed a complaint of overheating and thermal shutdown. The operator was a bit of a pain you know where, but I assured its a genuine problem and he contacted a local Asus Tech Support Centre. The response was fast and the Technician came within 2 days. Upon inspection he said that he was aware of this issue on this particular model series and the problem is due to a faulty motherboard. He filed a repair issue and termed it as "computer hanging" it seems Asus wont change your motherboard if there isn't any sort of hanging problem in your pc. (weird I know). So anyways he took the lappy for 1 week and he changed the motherboard. After a week I got it back and it worked like a charm!!! No heating issue at all! I can play all games cranked up to reasonable high custom settings and even High Settings for few games and they all give around 30-45 FPS(Frames per second). and many many more... all run at playable frame rates and excellent graphic quality! So I would like to say if you have heating issues please call customer care and force them to change your motherboard. I am a happy customer of Asus and extremely pleased with my laptop. Yeah same had happened with me, but i forced them to bring over the Motherboard here and change as it is On-site warranty. do every k55vm got onsite warranty or i have to buy it....also does it require cooling pad?? Onsite Warranty comes with this Laptop from Default, dont let the customer care guy fool you. And Cooling pad is required for every Laptop if you are going to use them on Bed. n yeah do all k55vm are defected ??? They can't refuse, Just tell them to fix heating issue, they will automatically change it or whatever is causing the issue. Only rare cases have heating Problem. He can never refuse you... you paid for your laptop not him! Just make it firm that you have talked with your friends with the same laptop and they have all solved the problem by changing the motherboard. If you could give the Exact Model Number, then i could Compare and tell. I had a confusion between Samsung NP370R5E-S05IN Laptop (3rd Gen Ci5/ 6GB/ 1TB/ Win8/ 2GB Graph): and Asus K55VM-SX086D Laptop (3rd Gen Ci7/ 8GB/ 1TB/ DOS/ 2GB Graph) , as I have used a non gaming Samsung laptop earlier , I was more inclined to it ,as it has a super anti reflection screen plus the radeon 8750 was much better than NV 630 og AMD. But AMD's I7 processor and 8 GB RAM wins here. Also major heating issues in ASUS (mother board replacement solves it ) and heard that ASUS neglects customers buying ASUS from Flipkart in terms of service has made me really confused . Even if a go with ASUS from Flipkart and forgot sake i get a faulty motherboard will I get the same kind of ASUS service as those buying from ASUS stores. Its no Point Buying the K55VM at this time when New Line of GPUs has hit the Market. I would suggest you to buy Lenovo Z500 as it is better in terms of GPU(740M) and Quality compared to Samsung(8750). Hello Thanks for your reply , you mean the NVIDIA GeForce GT 740M 1 GB DDR3s card is better than the above mentioned 2 GB DDR3s. has Core i5 3230M as opposed to i7 3610QM in ASUS. P.S. I am not a avid gamer , I am new to HD games. Mr.Anurag I am afraid Core i5 3230M is 2 cores not 4.so you get totally (2 + 2 = 4) cores.I7 3610QM has (4 + 4 = 8) in total. You also get 6MB of cache in I7 where as 3 MB in i5. For normal usage and gaming i5 is ok but a haswell I7 + 740 M makes a good gaming laptop. Some haswell I7's comes with a iris pro inbuilt graphics which is as good as 740 M.The advantage here is power consumption. Also I think this laptop supports SSD( replacing your Hard disk).But do it after warranty has expired or else warranty becomes void. Checked on Intel Website, It supports SSD in SATA2 Mode. Which Laptop supports SSD ? Which Laptop has a haswell I7 + 740 M ? Which Laptop in India comes with a iris pro inbuilt graphics ? There are Only Some Laptops Featuring 4th gen Processors Right now with Iris, Macbooks, Sony Vaio Ultrabook which are not Gaming at All. 2)you MUST use the laptop with cooling pad otherwise the processor will be heated up and it will shut down automatically. 3)you should be aware of laptop maintenance at least you should clean the cooling vents and the fans every six months..
DON'T RISK with this particular model better you choose lenovo instead..get LENOVO Y500 perfect for gaming/audio/video encoding. Lenovo Y500 is the latest one with SLI support.this is the best present in market today.safly that costs 69K. coe i7-gaming as well as video.audio encoding.you must be concern about the GPU not the processor.get I5 processor with a high end GPU that will be perfect for gaming.there were several model in DELL 15R with i5 processor with a good GPU.have a great day - sandy. I would Suggest you to go with Z500 for this Budget as its Best for gaming right now with that Latest GT740M GPU. My Friend has got Z500 recently, its not having any issues and they new GPU is More Powerful than the Older Z580, and its a significant Difference for many. Strange, i am using all the Drivers from ASUS site and everything works fine, including key combinations. You got your Laptop replaced or only the motherboard ? The Motherboard was replaced, not the full Laptop, Only the Motherboard has the issue, or may be some may have Heatsink and fan issue too. So i wont your advice i'will buy a laptop in about a week and i've got to choose between Asus K55VD(I5 3230M(ivy.Br) ,GT610 M,500GO) and The Lenovo Z500(same proc but GT740M and 1TO). I'm going to use it for developpement(VS2012,eclypse,Virtual Machine...) so i need a non heating issue as possible also battery life should be as long as possible and the most important part is that i need it durable for more than 2 year coz i cant afford another lap top. I'm not a serious player but it should have a min gaming skills ( 3-->5 h per week). i should tell that in tunisia we don't have neather Asus or Lenovo official vendor so i hesitate about the asus since there some Motherboard issue. Well Which is readily available? I guess there will be appropriate models for every Company! HI ANURAG, I want to buy a gaming laptop under 50 k but i saw so many reviews of so many laptops like Lenovo Ideapad Z500 (59-380463) Laptop (3rd Gen Ci5/ 6GB/ 1TB/ Win8/ 2GB 740m), HP Pavilion M4 1003TX(gt 30m 2gb) ,HP Pavilion 15-e016TX Notebook (amd 8670m), Samsung NP370R5E-S05IN (amd 8750m)Notebook,Samsung NP350V5C-S0BIN(amd 7670m) and Asus K55VM-SX086D (gt 630) all are with 2 gb dedicated.......plz suggest me which one i have to buy from the above choices.. so that in future i will not get any problem . Lenovo Z500 has probably got the best Graphic card at this budget i.e. GT740M, it would be a wise buy. but Anurag , if u will search on some threads ....u will find that : lenovo z500 with gt 740m is underpowered, means that 740m have 2 versions 1 old and 2nd new . old is based on gk208 architecture with 64bit not that 128 bit ..its performance is equal to amd 7650m . and it is hard to play grid 2 on ultra setting. that z500 is using this old one 64 bit version. i think this is not a gud option. and please suggest another best choice. i will be very greatful. The 740M is still not that underpowered , and the only card that is slightly equal to 740M is 650M, rest other current gen cards are somewhat less than these two. The other 128bit card you can get these days in a laptop is 8570, that is GDDR3. in z500 i cant enjoy ultra setting, but in samsung amd 8750 i can run ultrasetting smoothly. so still i hv to go for z500? ohhh i found more interesting things. samsung with amd 8750 have no dvd drive and less battery life (3 cell) but lenovo z500 have the one with 4 cell battery......dear m getting confused....plz tell me which one i have to buy . i will go for it finally. The Z500 Laptop that we reviewed was 6-cell battery, that Samsung one is Ultrabook kind of laptop, so its having a 3 cell battery, it would be giving a backup no more than 3 hours with that power within, i would strongly advice you to go for Lenovo Z500 - see this review that we wrote earlier, you may have already read it - Lenovo Ideapad Z500 Laptop Review. Give me the Link to Product Page from where you ordered ? Return Them the Product and call them telling that you only want the Z500 with GT740, this is the only reason i don't like Snapdeal, they keep outdated products. Call them ASAP and Mail them, Tell them to Return as the Product Page lists 740M 2GB , tell them to send the One with 740M, or you will drag them to consumer court. Yeah and Do reply back when the Correct Z500 comes. Hey anurag i am a bit confused which one to buy .. Asus k55vm or lenovo Z500 or samsung NP370R5E .... can u please just email me which one is better i will buy from flipkart.. email--- subhankar325@gmail.com..please very urgent. Replied to your Question on E-Mail, Z500 is better buy. do you think Samsung NP550P5C-S06IN is better choice to go? it has better gpu...Im looking for gaming purpose and i'll do some graphics works too. Im also interested in Asus K55VM-SX086D but people suffer heating issue and it shuts down while playing games, its an old story so i dont know whether the new models are fixed with that issue or not. This Laptop is better with next gen GPU, Lenovo Ideapad Z500. I would suggest you to order this only, GT740 is better or equal to 650M. Hello guys just tell..should i buy this laptop..over this http://www.snapdeal.com/product/dell-inspiron-17r-n5720-laptop/2027477810 dell lapi..i am confused due to heating problems..plz suggests me right one..
No i would suggest you HP envy, see our October guide. Better to get K55VM now. so moral of the story is, even if you buy Asus K55VM-SX086D you should get your motherboard replaced, to overcome overheating problem. Your post and your replies have been extremely helpful. Read your comment that the K55VM supports SSD in SATA2 mode. Can we make it boot through the SSD? Would we be able to use both the regular HDD and the SSD together? Can it be made dual boot? We cannot use them both together since this Laptop has no additional slot for SSD, you have to remove the HDD and the empty slot can be used for SSD, there is space for only one of them at a time. You can Boot through SSD but cannot use both same time. Hi Anurag, at the outset i congratulate u for ur Patience in dealing with the comments. 1.Internet thru at leat 25 tabbed Chrome Browser, Editing some times the AVCHD movie clips to run on my mobile, Powerpoint Lectures to my students, Picassa, music, Nokia Suite, Google talk or skype, that is in short Multi Tasking. I do not play any games. Currently using Dell XPS 15.6, 1st Generation i5 ( bought for 70k , 2 yrs back). Please suggest , Should i go for Asus K55VM or do u suggest any other. Also i have a friend in Sony India and can get Lappy for 25 to 40 Percent discount. Do u have any model to suggest from sony. Screen i want is 15 inch as i use it as Home Desktop type also. Since you won't be Gaming so i would suggest you Laptops with Multithreaded processors. and ASUS K55VM with i7 3610QM. Thanks Anurag ! can u give me the link please, will buy . Just a thought , The r with Win 7 na ?? Asus one is same which u have reviewed na. my budget is approx 40k. Sony India se upto 50k , coz after disc it will cost me 40k. There are no laptops in upto 50k from Sony, that seem acceptable to buy, they are costly mostly. check the above link in review, you won't regret buying ASUS, i can't find any laptop which has better than i3 in 50k, they start at 60k for even i5. Thanks a lot. WIll buy Asus soon. I am planing to buy the laptop from UAE, After going through the comments above i am little concerned. I am planing to settle in India after buying the laptop, do i have to take international waranty or normal on-sitewarranty will do the help!!. If International warranty will there a big price change ? Where do i find Windows 8.1 (64 bit) drivers for asus k55vm-sx086d??? Windows 8 Drivers will work perfectly with Windows 8.1. You can call Asus Helpline (call center number is 18002090365), they will take your Laptop, repair it and drop back to your place. Sir, my budget is 60k and i want a laptop in which i can play new games and work on heavy software's like hypermesh and solidworks! Which laptop will be a best buy for me? Thank you! ASUS K55VM, check the link in post. I need to buy a laptop in the range of 40-42k, Please could you guide me which to buy.I have zeroed down on few options. Please help.Please recommend if any laptop that is better than this but not listed. Hi Anurag i have recently purchased Asus k55vm but when i am playing games it is suddenly shutting down(when power is plugged in) when i remove the power supply and playing it is continuously playing without any shut down...can you help with the problem??? This is due to the Reason that, your Laptop has different Cooling Policy when it Charges or when it is on battery, I would suggest you to change cooling Policy settings in Advanced Power management settings. Please guide me on changing the settings..
Where can i find this advance power management settings?? i want to buy this laptop! do u think ASUS must have delt with this issue of over-heating ! becoz all ur over heating posts dates back tp 2013 !! waht do u think ASUS might have overcomed this defect in next batch ??? plz suggest me to buy or not to buy this laptop ?? The Heating issues were in only the first batch of Laptops, as i have written in comments above. These issues were resolved long back. first of all..thanx buddy..for helping the people here who are not so gud techies, with your suggestions and reviews ..nice job!! I m also in the same creed like you...Gamers :) hwz tht beast of urs ASUS K55VM-SX086D doing ?? Well..im too here for seeking sum help from you. i wanna buy a serious gaming laptop wid a budget around 55k-60k max. Please note that im a big asus fan..very much inclined to buy one from this Taiwanese company, but suggestions are always welcome from other brands also. A quick reply will be grtly appreciated..thnx buddy !! My K55VM is doing great, I game regularly on it. For your budget although, now there are some very good choices that you can make, but none from ASUS I am afraid. 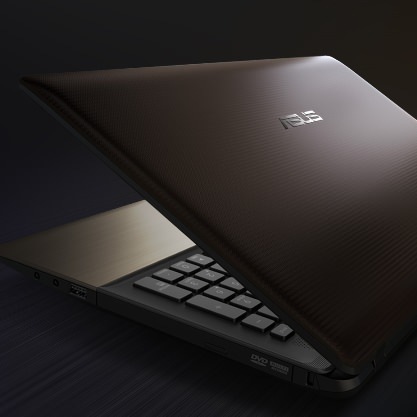 this Laptop is good actually - Dell Inspiron 15 , with a good graphics card and i7 Processor. okk... and if the budget drops down to 45k to 50k then ???? actually im thinking to drop the budget a lil bit here and invest the rest in a cooling master fan and gud gaming headphones, plus sum gaming accessories ..what do u say ??? Then I guess HP Pavilion 15-n012TX is best for you. But if you are ordering from Flipkart, which i guess you will as offline retailers are selling this laptop at higher price. I guess you have to call up ASUS service center. thanks for the reply but wanna ask u a question when u start windows media player does it make any sound ??? No , it doesn't make any weird sound. hii anurag.. hw r u ?? can u rewiew this model " Acer Aspire V7-482PG-54208G52tii Ultrabook" ??? its nearly same as "HP Pavilion 15-n012TX" as u suggested above but as i was digging sum stuff i came across this acer model and found display is lil better i guess (as per specs- 1920x1080p)and also i notice that it has a higher Nvidia graphics card-750M. is it avilable in india ?? I Highly doubt this model will be available easily in India, seems too good to sell in India. But if you find it, i would advise you to get it. Hi Anurag i have been using K55VM model same as ur's since long time, let me know what r ur FPS along with CPU max temp under turbo boost (100% cpu utilization) while playing new & old games like GTA IV, Need for Speed Rival etc... at high settings. 2. i disassemble it and clean all the dust and dirt. Has one tried upgrading this model to Windows 10? If so, please suggest how to do so as I tried and it failed. After installing Windows 10, I found that Wi-fi was disconnecting and Microsoft Tech Support confirmed that it's drivers issue and Asus India confirmed they don't have drivers yet and not sure if they'll be releasing in future. Any help here is highly appreciable. I myself am using Window 8.1 as Windows 10 drivers are incompatible.